Despite its status as non-narcotic, tramadol can have serious side effects, including potential dependency. Some non-life-threatening side effects of the drug include abdominal pain, diarrhea, drowsiness, heartburn, and irritability. If you experience side effects such as difficulty breathing, lightheadedness, severe sleepiness, or irregular heartbeat, you should seek emergency healthcare immediately. 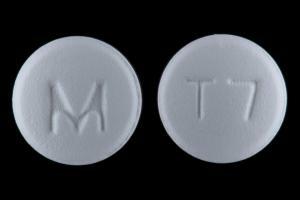 Tramadol is prescribed for moderate to fairly severe pain. Here is a comprehensive list of less common or rare side effects. While tramadol is not typically addictive (as compared with its opioid counterparts), research has linked tramadol abuse to a condition called Serotonin Syndrome. When used incorrectly or when taken in conjunction with certain illegal drugs or some antidepressants, tramadol can contribute to a dangerously high level of serotonin in the body’s system. Be sure to speak with your physician about all medications you are taking before starting or continuing to take tramadol. Tramadol works differently than opioid medications, which are classified as narcotics. The drug activates neurotransmitters such as serotonin and releases endorphins in the brain. These natural chemicals change how your body deals with and experiences pain. Opioids, however, attach to specific protein receptors found throughout the body, reducing the perception of pain. Opioid side effects often include a dreamy or drowsy state that can become addictive. 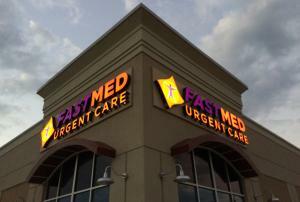 At FastMed Urgent Care, we’re committed to providing care that is high quality, compassionate, and affordable. We make it a priority to educate our patients on any medication they’re taking, and our medical professionals take particular care when it comes to pain management. If you are experiencing any non-life-threatening conditions that are common side effects of tramadol, consult with a provider from FastMed Urgent Care. You don’t need an appointment, and our professionals can help manage your symptoms and decide a course of action. We accept all major insurance coverage plans, including Medicare and Medicaid. Check out our Insurance page to confirm that your plan is accepted. Don’t wait. Contact us today or drop in at your local FastMed Urgent Care clinic.